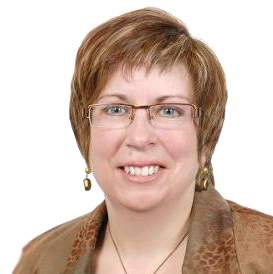 ​Kathy Foch has established herself as an expert in the Georgina Real Estate Market through 25 years of providing clients with a personally-tailored service package, and a consistent track record of client satisfaction. Kathy's personal investment in her clients' needs is what sets her apart. Her ability to evaluate the real estate transaction from her clients' perspective enables her to ensure that clients make a decision that is in their best interest. She has a personal mandate to create stress-free, no pressure transactions, and deliver value to clients. This level of personal investment in real estate business manifests itself in Kathy's extensive involvement in the community, which includes working with a number of local charities and businesses in Georgina. First Rate Working Knowledge of the Area. Licensed and Practicing as a FULL TIME Professional Since '91. Prior 5 Year Career as National Marketing & Public Relations Manager. Region Character Community initiatives, as a Character Business. Keswick and Georgina's #1 Prudential Sales Representative since 1999. Assertive and Progressive Marketing, Follow-Ups and Follow Through. Discretion, Confidentiality, Professionalism and Courtesy are Guaranteed at All Times. Extensive Background in Marketing, Advertising, Statistics, Demographics and Customer Relations. 89% Repeat or Referral Clientele. Direct Access to Legal, Accounting, Financial, Estate Planning, Business Management and Construction Professionals. Consistent Local Children's Sports Sponsorship and Community Involvement. Call me today at 476-HOME (4663).....easy to remember, easy to refer.